White-ball specialist David Miller has made himself unavailable to play first-class cricket in South Africa this winter. The 29-year-old has told Cricket South Africa that he will only play limited-overs cricket for the Proteas and his franchise the Hollywoodbets Dolphins. "It was a tough decision to make. I have always loved playing red-ball cricket but I have decided that I would, in future, like to concentrate on white-ball cricket to make sure that I am in a position to give myself the best opportunity to play for the Proteas in the format that I love," Miller said. Miller, who has represented Durham, Yorkshire and Glamorgan in English domestic cricket, is uncapped at Test level and has just six hundreds and a batting average of 36.32 in first-class cricket. But he has 170 international appearances behind him at the 50-over and Twenty20 formats. "It is disappointing to lose David from our pool of potential Test players. 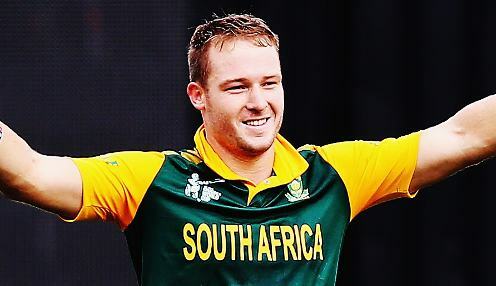 At the age of 29 he still has many years of good cricket left in him in all formats but at the same time we have to understand that he wants to throw his full weight into helping the Proteas to win the World Cup," said CSA chief executive Thabang Moroe. "He has time on his hands to resume his first-class career in due course and I sincerely hope that we have not seen the last of him in red-ball cricket where he has shown his undeniable talents in the past." South Africa are 9/1 to win the 2019 World Cup, while India can be backed at 11/4, Australia at 4/1 and Pakistan at 12/1.